Wireless Data Logger (15Ch ~ 105Ch). Employs an innovative wireless logging system capable of capturing up to 105 isolated channels of data wirelessly using Bluetooth® technology for recording multiple channels of voltage, temperature, resistance or humidity signals with isolation and strong noise resistance. 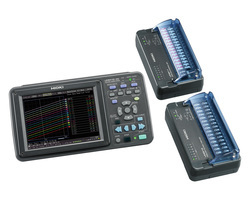 delivers world-class measurement accuracy, a broader range of measurement frequencies and a high level of stability thanks to improved noise resistance. 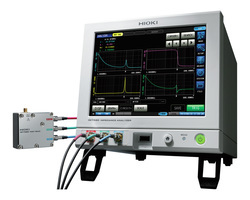 The newly designed instrument also provides waveform analysis functionality and up to 12 measurement channels, a range of capabilities that befit the new model's status as Hioki's flagship power meter.